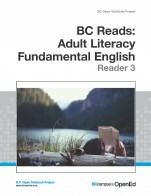 This reader contains nine original stories written specifically for adults, and is designed to accompany the BC Reads: Adult Literacy Fundamental English - Course Pack 4. This level 4 reader, one of a series of six readers, is roughly equivalent to grades 4.5 to 6 in the K-12 system. New vocabulary are set in bold throughout each story, and then summarized and defined in a Glossary found in the appendix. Font size and line spacing can be adjusted in the online view, and have been enhanced for the print and PDF versions for easier reading. 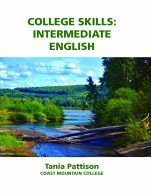 This reader has been reviewed by subject experts from colleges and universities. 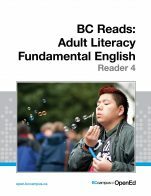 BC Reads: Adult Literacy Fundamental English - Reader 4 by Shantel Ivits, Vancouver Community College is licensed under a Creative Commons Attribution 4.0 International License, except where otherwise noted. The reader contains nine stories based on human rights issues. They are written specifically for adults at Adult Literacy Fundamental English (ALFE) level 4, and the words in the stories are level appropriate. New vocabulary is bolded throughout each story making reference to those taught in the accompanying course pack. They are also found in the glossary in appendix 1 of the reader for further reinforcement. If I were to use the reader as a standalone, I would make students aware of the glossary in the appendix of the reader. There is an effective table of contents at the beginning of the reader and a glossary at the end. Reader 4 includes nine stories using examples of everyday people who took a human rights stand. 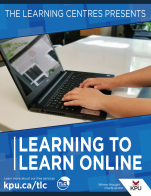 The content is relevant to adult literacy learners and is accurate, error-free and unbiased. The contents cover topics that are relevant to adult literacy learners. New contents around the reader’s theme could easily be adapted or added to. 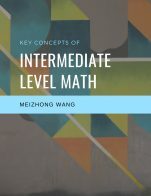 The text is written in plain language and at an appropriate level for the ALFE level 4 student. The pictures support the context of each story. Each story is written independently; therefore, the reader can easily be divided into nine separate stories that could be assigned at different times in the course. The reader contains nine stories based on human rights issues. The stories include: Our Human Rights, Viola Desmond, Nellie McClung, Tommy Douglas, Joy Kogawa, Jim Egan, Elijah Harper, Gabor Maté and Standing up for Your Human Rights. Though the stories in the reader are independent of each other, they are presented in a logical and clear fashion. The font size and pictures in Reader 4 (print version) are appropriate for adult literacy students at this level. The font size and line spacing in the online view can be adjusted if needed. Engaging stories are used throughout the theme that are inclusive of a variety of races, ethnicities, and backgrounds. The author has done a remarkable job making sure the reader and supplementary course pack work well together. The combination of the reader and course pack meet all of the BC ALFE provincial level 4 articulation outcomes. The review of Reader 4 is based on the print version printed by SFU Document Solutions and not the online version.